Traps are very powerful. They take little damage from troops, deal out lots in return and help keep your own troops alive. However, you can only build 125k of them. 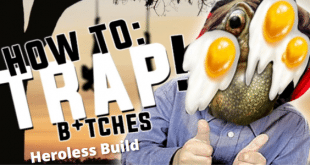 This guide should tell you everything you need to know about traps including how they work, their stats relative to normal troops, when to build them and how not to lose them. Traps go hand in hand with their counterpart troop Siege – so I am releasing the guide to Siege at the same time which you can see here. I had been waiting for the completion of the battle calculator to write this guide but decided it was better to just share what I had ready and then update it when appropriate. So disclaimer: everything is subject change! Traps are built in the Wall inside your city. Unlike troops, there are 5 tiers of traps: Bricks, Tier 1, Tier 2, Tier 3 and Tier 4. Upgrading your wall increases the maximum numbers of traps you can have. Like troops, traps come in regular and strategic varieties. Strategic traps get an additional boost against their optimum troop type but have reduced attack against other troop types. For info on specific Traps stats see here. Traps are incredible powerful, but suffer one crippling drawback. Lets start with their strengths. There are two ways that traps help keep your troops alive. Traps have double the defense of their troop counterparts. 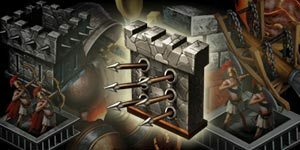 Having a full wall of T4 traps will add enough defense to save roughly 3,000 T3 troops for every 100% of defense boost you have. (Not great but better than nothing). This is the main defensive benefit of having traps. If you have 100k troops and 100k traps, then the incoming damage will be split 50/50 between them. Early in the game this is a huge benefit. Your troops take half damage and your extremely resilient traps take the other half. As you train more troops, the benefit of this goes down. If you have 900k troops and 100k traps, the damage is split 90/10 so your traps now only absorb 10% of the damage. Note: This seems to be the case regardless of the tier of trap (not fully tested). So bricks are just as effective at absorbing damage as T4 traps are (although of course more will be destroyed in the process). This is also why it is so hard to destroy traps later on in the game. If your opponent has 10mil troops, only 1% of the incoming damage is applied to their traps. It is also why attacking with Siege is pointless later on in the game. You send a full march of siege, but only 1% of their damage is actually applied to their intended target (in the meantime your siege get annihilated by their troops). As we will come on to see, this is the main limitation of traps. There is no limit to the number of troops you can have, but you can never have more than 125k traps. I think that when Machine Zone designed the game they didn’t anticipate the huge volumes of troops that people would train. The way they implemented the food upkeep system shows they intended to limit the maximum number of troops. However, once people realised that you don’t actually need food to keep your troops alive the troop training bonanza started and troop numbers crept up into the millions. Herein lies the main problem with traps – 125k traps just become irrelevant once you have millions of troops. Sure, you might as well have them, but their presence has negligible impact on combat and it simply isn’t worth building gear or prioritizing research to boost them. That said, traps in theory are great in the middle part of the game where you have less than 1m troops. They can cause real problems for attackers and are hard to get rid of. However, their usefulness in this part of the game is restricted by their second drawback – they are are expensive, slow to build and easily destroyed. As discussed in our guide on protecting yourself, you will get attacked a lot. Early on, there are a number of ways to protect your hero and troops. However, the only way to protect your traps is to stay shielded 24-7. It is simply not worth the gold spent on shields just to protect your traps. It is also not worth spending huge time and resources building traps when they are so hard to protect. As we will see, bricks are a great middle ground to focus on until you get to the point where you need to be shielded 24-7 anyway (and can therefore start building up a high tier wall of traps). Traps take twice as long to build as troops. In addition, there are far fewer ways of boosting trap building speed than there are for boosting troop training. The end result is that Traps take a veeeeerrrry long time to build. Building a full wall of T4 traps can take many months. On the plus side though there is no maximum queue size for traps. If you have the resources, you can queue up all 125k at one time. The main resource you have for speeding up trap training is your hero skills. The best way to train traps is to switch over your hero skills to trap training and queue up a large number of them. For higher tier traps this can save you many days of training time and is well worth the 2k gold (or loyalty) for a hero respec. The exception to this is Bricks – these are very quick to build. Bricks are great in the early to middle part of the game. They have low health and do little damage but they do a great job of keeping your troops alive. They have higher defense than even T4 troops and as discussed above, they are just as effective as T4 traps at absorbing damage. The main advantage they have is that they only take 2 seconds and 20 resources each to build. This is so negligible that it is well worth making sure that at a minimum, your wall is always filled with bricks before going into combat. Much like the regular troops vs. strategic troops discussion, strategic traps are better. Strategic traps get an additional boost against their optimum troop type but have reduced attack against other troop types. Overall, total damage is higher from strategic traps. That said, you should probably build whichever ones you have the highest boosts for if they are significantly different. Importantly, for most people it isn’t worth the time to unlock strategic T4 traps. By the time you have unlocked them all you may very well have progressed past the point of the game where traps are useful. 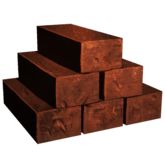 These are identical except that iron bricks use your strategic trap boosts and normal bricks use your regular trap boosts. Unlocking traps up to Tier 3 is fairly quick in Game of War terms requiring only around 10 days of research. 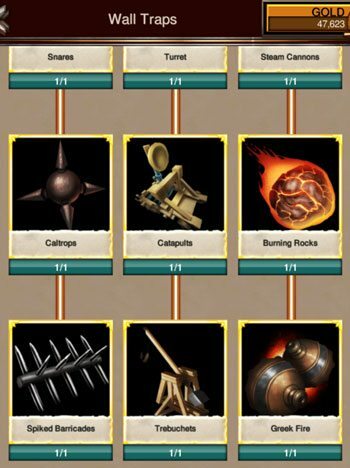 Unlocking Tier 4 traps however requires a level 21 Academy which is a sizeable challenge as can be seen in our guide to unlocking T4 troops . Having completed the Academy, most people will then unlock T4 troops before T4 traps. If you go down this route then all you then need to do is finish researching Trap Attack 10 and Trap Defense 10 before you can start researching your T4 traps. However, if you do not decide to go for t4 traps first then you will have to finish researching most of the Economics tree up to level 10 first. The total time to unlock all T4 traps is 750 days before boosts (which is very approximately 200-250 days after boosts). Strategic T4 traps take a little longer at 845 days. There two types of trap boosts – Trap Attack and Trap Defense. It is important to note that troop boosts also applies to traps. As such it is almost never worth focussing on trap boosts. You might as well kill two birds with one stone and focus on troop boost. The % salvaged drops rapidly when attacked by higher tier troops. MZ confirmed that if you have low tier traps being attacked by high tier troops, the number that are salvageable drops massively. Later on in the game the number of traps that you will be losing (as explained above) will be minimal anyway. You can invest Hero Skill points in Traps Boosts and Trap Training Speed which is great way of boosting siege in a non-permanent way. Have a look here for trap gear but as mentioned be careful about investing too many resources into crafting them. You can see Trap Cores and Pieces here which is another great way of getting a short-term trap boost (none currently available at time of writing). Always max out your trap capacity. The defensive benefits they offer are well worth their cost. Early on this means building bricks and then once you start shielding 24-7 start upgrading these to the highest tier possible. Remember to switch your hero skills to trap training and then queue up a large number. It may be worth researching lvl 10 Tier 1 trap salvaging whist you are still in the bricks stage of the game. Being able to instantly heal a large proportion of your traps will let you take more hits if your are going for a Turtle strategy. Unlocking Strategic T4 Traps won’t be worth it for most players so long term most people will settle on a full wall of regular T3 or T4 traps. Check out our guide to Siege for info on the counterpart to traps. Waste of time and money game of war, it doesn’t matter if you max out your research you still get burned. It’s just a cash cow for the gullible for Mz. Since I have a 500KT limit on wall traps right now and are tired to T9 now, I think this article is sorely in need of revision!! Assuming the author has enough money to test it, haha them t5s makes training t4s seem like t1s. So I hit my max capacity for my wall at 40k. I’ve been attacked a lot lately. But my numbers next to each trap down below don’t show 40k. Only like 5k of them. I don’t know what to do? I don’t know if that means I onoy have 5k in defenses and the rest of the 35k that’s missing is destroyed traps? But wouldn’t that give me more room in my wall defenses? Ummm…I have 375k traps. Once your research for trap capacity is completed in the Defense branch, you can build that many. And with the proper gear on (gear with construction boosts) it takes less time. This article is a bit outdated. At least for people in older Kingdoms with higher power. If both kingdoms are ancient kingdoms you are able to purchase a new gold pack containing the advanced kingdom port and bring it over that way. If either kingdom is not labeled as an ancient kingdom you are unable unless it’s a SH5 or less. If your stronghold is above level 5 you can’t. If it is below it will be in your items tab under special and will say Beginners teleport. Thanks for this great superb guide! I have a question. When I go to build a trap all of my traps have a circle with a line through it and it won’t let me build any. What do I do to get rid of that? You have to do more research to open more slots for building traps. There is also more research for traps in restoration and Defense. I just started playing and I got hit so bad the the red wrench in on my wall and I can t get my salvage capacity fixed it like 5300/ 45000 don’t understand can you help? The main question I had is how to restore them I’ve tried and can’t get the wrench off. Anyway to do this???? If you have the wrench above your walls, you click on your walls. There are then two tabs at the top “wall defences” and “salvageable trap capacity”. Click on the salvageable trap capacity tab, Que all (or what ever traps you want to heal), and then click restore. I have the same problem.. followed MHY procedure, and can’t que traps to heal. I’m researching trap restoration, now to level 8, to no avail. I had the same problem so I can tell you that you will not be able to repair traps until increase your capacity. So as you do research and more traps are allowed before building new ones repair the ones you have and the wrench will disappear. Whats the deference between trap attack and trap defense? Thanks for the build guide. Can you confirm that solo hit turtle accounts are point losers with the new KvK hospitalized troop scheme? I haven’t found a scenario that generates more points than a full march attacker and I have a SH 21 T3 turtle and a SH 14 T1/T2 turtle built to these guide specs. Any insight would be valuable. Time to update you can have 375K in traps now with new research. Could you do a revise on article since they released ways to get more traps? Question. I was wondering the effectiveness of hero skill points and trap gems. In other words, when u take a hit (solo or rally) is it worth it to allocate hero skill points to trap attack rather than in, say, infantry attack? Which one would do more damage? Same with gear. Should I have gear that helps trap attack percentage rather than troop type attack percentage? Right now I opt on the side of trap attack percentage instead of focused troop type attack. Wondering if it’s more effective. Thoughts? Thanks. I should say that I have about 1.5m troops. All my traps are strategic t4. Please test the effectiveness of traps that don’t match the defending troop tier. I did this on a limited scale. I sent 1k t3 into a city with 1k t1 troops and 1k t3 traps. Then I sent 1k t3 into the same city with 1k t1 troops and 1k t1 traps. The attack with on the city that had the t1 traps matching the t1 defending troops did far better than the city with t3 traps. In fact, none of the t3 traps got hit. The t1 traps and t1 combo did way more damage also. But actually all of this doesn’t really matter now, because the new kvk point system doesn’t allow for traps to play a meaningful role in kvk. Nm. Sorry. Thanks so much for all of the hard work you guys do. I personally enjoy testing to find out the inner truth to the game, but it can be very time consuming and sometimes frustrating. Have you read silverhair’s trap analysis and does this answer your question? You have done amazing work here, thank you. I would like to ask why you do not address taking the trap’s strengths against specific type of troops into consideration? For example, built 100k t3 catapults (strong against cav and range) then train 600k t3 range troops (strong against infantry). You would seem prepared for any solo attack. Hi, if you train just Ranged Troops then you will be extremely vulnerable to being attacked by cavalry – even with the catapults. I wish I had found this article before I wasted time on t1 and t2 trap salvage research 10/10. It cannot be stressed enough: if you are a low level build with a full wall of t2 traps, and you get hit with a march of t3/t4 troops, you will salvage like 25%, not the implied 70%. This basically makes the salvage research worthless for a low level build. I have hit a turtle with T4 traps and T3-4 troops. Destroyed T4 traps before all T3 troops were dead. Done it in both solo hits and rallies. Likewise I have destroyed T3 traps in turtles with T1-2 troops, before all those lower tier troops are dead. I think this apportionment of damage based upon the ratio of troops:traps better explains the results I see when hitting turtles. I will provide some battle report examples in a follow-up article. I have gone back to those battle reports where I thought I had destroyed traps before killing the meat shield, and my recollection was incorrect. The traps were intact. Slaggy, would you talk a little about troop/trap tiers and how that affects things? For example, one solo turtle design uses 125k T4 Traps and around 500k T3 troops. I THINK this means that using siege to attack would be useless, even though the traps are a major threat. An incoming attack will be forced to hit the T3 troops, and can’t reach the T4 traps unless all T3 are down. So siege would be hitting regular troops, which they are ineffective against. Sound correct? As a second example, I’m looking into using T2 traps on a rally turtle with 13m T3 troops. If the above info on tiers is correct, this will mean that an incoming rally would have to destroy all T2 traps (which their troops will be relatively ineffective against), before being able to hit T3 troops. I can then use T2 trap salvaging to restore the traps, and heal the wounded T3. This should increase the amount of incoming damage the turtle can take without exceeding hospital capacity. I realize T3 traps give more defense points, but if attacking troops have to first destroy 125k T2 traps that they are weak against, it seems that might be better. So, the real question is, when your attack hits lower tier troops/traps, does it only count your bonuses toward the tier of troop being hit? So in the first example above, would it count the incoming attack as being vs. T3 troops (so siege would be weak), and in the second example would it count the incoming attack as being vs T2 traps (so troops would be weak)? Hi, I have tested this fully so don’t want to speculate too much but it seems that traps are treated separately to troops. Incoming damage is split between troops and traps so that whilst T2 Traps need to be destroyed before T3 traps will take damage, it is not the case that T2 traps need to be destroyed before T3 troops take damage. I have planned a future follow-up to the turtle series which tests the layering of traps and troops by different tiers. In your rally turtle, I believe it is a waste of 125k trap space to use T2 wall. The incoming rally definitely does NOT have to destroy all your traps before getting to your troops, whilst they definitely DO have to destroy all T2 troops before getting to attack T3 troops. If you want to layer to protect T3 points, stick more T2 troops in front of your T3 troops. A future guide will show the battle reports for different trap setups used with the sme turtle. So for the more common set up of T4 Traps with T3 troops, is it a waste to send siege, since the T4 traps don’t get hit until all T3 troops are down? Or does the damage from siege vs traps somehow still apply even though only troops get hit? Hi, we haven’t fully explored this yet but traps don’t strop troops from taking damage and vice versa. Or in other words, troops don’t act as a meat shield for traps and traps don’t act as a meat shield for troops. Hmm… I don’t think that’s correct. From what I’ve seen, if you have troops that are lower tier than your traps, the troops get hit but the traps don’t. Please double check it, but that’s what I’ve seen on all of my accounts. I haven’t checked to see if traps that are lower tier than troops protect the troops, but I thought they probably would. Even if the troops get hit and the traps don’t, that doesn’t necessarily mean that the damage from siege isn’t somehow applied vs the troops in a way that counts the siege boost vs. traps. So perhaps the game says the siege do 1000 imaginary damage vs. the T4 traps, but then applies that 1000 damage vs the T3 troops. Rather than saying that the siege do 250 damage vs. the T3 because siege are ineffective against T3. My guess is that the damage only counts toward what is actually hit. So even if you have 125k T4 traps, if only T3 troops are hit by your siege, I think it would count the siege attack as very ineffective since no T4 traps are actually hit. So when redistributing hero points for war, once you get to say my size, 15m troops, putting points in trap attack is a waste of points? I should put those 50 points in troop attacks. Is this correct? Where is the break off point here – I have under 1mil troops – should I be putting those points on trap attack of should I go for troop attack? Could you perhaps do a “cookie-cutter” hero skills tree for us. Or a guide on it would be even better.